Independent marine and naval architecture consultancy, Tymor Marine, headquartered in Aberdeen, has been awarded a contract to deliver a vessel mid-life extension survey for the Irish Naval Service. 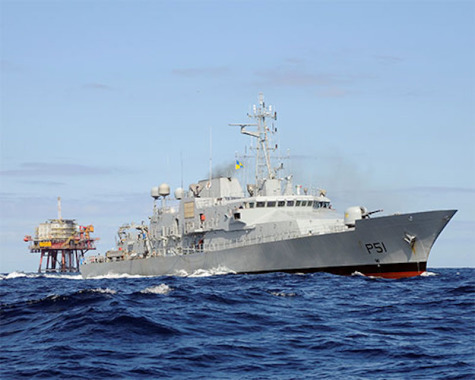 Tymor will survey the Irish Navy's P50 class vessels to assess the condition of their structure, systems, equipment and machinery and provide a full analysis and report containing independent recommendations for integrity maintenance and upgrade activity. The vessel survey will provide evidence of vessel integrity and where possible make an estimation of remaining endurance, highlighting priority sites requiring attention. The contract will also include a review of planned maintenance and inspection activity, make recommendations for cost-efficient preventative actions and upgrades, provide an assessment of machinery hours linked to the vessel's planned mode of operation over the course of its future activities and advise on remedial action, taking into account the availability and cost of spares and repairs. Kevin Moran, Managing Director of Tymor Marine, explained: "We are privileged to have been awarded such a prestigious contract to support the Irish Navy in their mission to extend the life of their active service vessels and onboard assets. "We believe that one of our significant strengths in delivering this contract, is that we adopt a wholly independent and holistic approach to asset integrity and life extension, by bringing together a cross-discipline team of marine surveyors, marine engineers, mechanical engineers and naval architects. "Our team validated recommendations are designed to cost-effectively mitigate any issues that have been identified during our survey and to extend or maximise the life expectancy of the vessel. We have no ties with equipment manufacturers, vessel insurers or classification societies and make all recommendations in the best interest of the client." Lt Cdr Elaine Moloney, Irish Naval Service, commented: "Onboard asset integrity, maintenance and vessel life extension is critical to ensure that our high standards of operational excellence and safety are continued well into the future. We are looking forward to working with Tymor in support of this objective." The award of this contract, following a competitive tender process, was one of several UK and European projects successfully completed by Tymor Marine in the marine, oil and gas, renewable and defence industries during the summer of 2018. This adds to the recent growth seen by Tymor's US based business, which has benefited from increasing activity levels in the Gulf of Mexico.